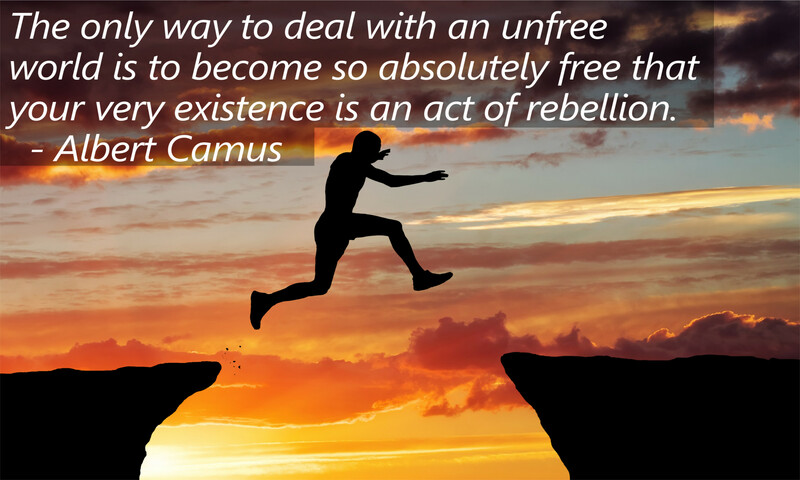 This is such a profound quote by the French philosopher, Albert Camus. It brings to thought what being free really is and he argues that to be ones true self without fear is the definition of freedom. But this type of individual freedom is seen in many times and places in human history as an act of rebellion. But instead of giving in to the powers that be, we should accept the fact the being ourselves sometimes does make us rebels depending on the situation that we find ourselves in. So whatever you do in your life, always remember to ask yourself how free you truly to be the person you deep down are!